Many people say email marketing is dead. However, some people believe that it is one of the best, free methods to achieve your marketing goals and get to your customers. If you are one of those who think so, this post will definitely help you find out if email marketing is still as efficient as it used to be in the past because we've compiled a list of resources (case studies) about email marketing. Let's dive into it! How to Launch a Blog and Get 17,800 Email Subscribers in 6 Weeks - This article will showcase a method used to get 17,000 email subscribers in just a few weeks. It seems very effective and this can actually help you get started. 10 Effective Email Marketing Techniques Backed by Data - Email marketing is one of the most effective ways to reach customers today. Email Marketing: How Vero Got a 450% Increase in Conversions - Nothing has replaced, displaced, or outpaced email as a super-effective medium to engage your audience – from prospects to customers – and it doesn’t seem likely to happen anytime soon. 14 Tips for Making Your Nonprofit Email More Effective - Dan Zarrella, a social media researcher and author, recently revealed in a Hubspot webinar a trove of statistical analysis on email marketing. Zarrella parsed 9.5 billion email sets from MailChimp, ran three focus groups, and did a survey to come to his conclusions about the best email marketing practices. Although Zarrella’s insights were directed at “commercial” email, nonprofits can benefit just as well. Grow Your Business with Trigger Based Email Marketing - For the last several years, marketers have been talking about the life span of email marketing. And for those of you who still click “Send to all”, the kind of one-size-fits-all email marketing blasts, then yes, marketers are right – That type of email marketing IS dead. Email marketing is more than just quickly rounding up content, hitting send and forgetting about it until the following week. And one way to get more ROI from your marketing is to send trigger-based email marketing campaigns. Direct Email Marketing Strategy - 92% of business executive say they have a direct email marketing strategy in place according to a Forrester Research survey. This article will tell you the reason why. Annoying Emails Work Way Better Than You'd Think: A Lesson From the Obama Campaign - Some Tech staffers had dismissed email as old-fashioned and uncool, without understanding how indispensable it would be in saving the campaign. Ignoring the human desire not to be annoying may have been the single greatest conceptual breakthrough of the campaign. Intelligent email marketing drives fourfold increase in revenue for Big Cup Little Cup - As an online exclusive brand, Big Cup Little Cup needed to convert website visitors to customers, using intelligent email marketing and a clear strategy. Campaigner Email Marketing Software - Campaigner's rich features, functionality, and affordable price made it possible for a Salon and Day Spa to grow their email list in over one year from 425 subscribers to over 650. Email Marketing: Campaign Analysis, Metrics, Best Practices - Email is an amazingly profitable marketing channel if done right. So which email metrics matter? Learn 12 metrics dripping with insights! Email marketing is alive and well, at least for now - Email marketing is alive and well, at least for now it remains a consistently reliable method of finding and keeping customers. The 4 Lessons Learned from a 6-Week Email Marketing Case Study - Is email dead? Not according to this author. See the results of his email campaign to re-engage cold leads. Intelligent recommendations boost email revenue: case study - Internet Retailin - Leading online chemist Chemist Direct has reported a 30% jump in revenue from email campaigns after introducing intelligent recommendation technology. The company introduced Peerius’ SMART-mail software as it looked to grow the income generated by a weekly marketing email that recommends eight products to customers on its mailing list. What 4.2 Billion Clicks Will Teach You About Gmail Marketing - Matt Grove of Mailchimp published a recent post with an in-depth study of the effects of Gmail’s new inbox tab rollout. Gmail dropped this bomb on email marketers roughly six months ago, which spiked a lot of pushback from the email marketing community. A/B Test Transactional Email For an 8.6% Conversion Lift - Online marketplace uSell achieved 24.5% increase in open rate and 8.6% increase in revenue-generating offline conversions through sendwithus transactional email A/B testing. 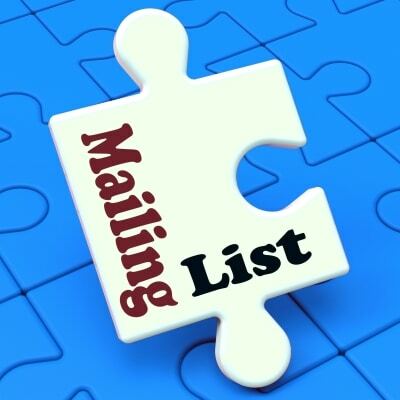 How often should I email my list? - One of the biggest “controversies” in email marketing is this: How often should I email my list? Find out in this case study where the author email one of the lists daily and the other list by sending a weekly newsletter. Which one brings better results? How 4 Companies Increased Their Open Rates - Out of all the digital marketing channels at our disposal, email is the most powerful. Whether you’re a B2B or B2C marketer, if you embrace email marketing, you’ll find that your efforts and financial investment will pay off big time. In this case study, you will see how 4 companies increased their open rates by using different methods. Segmented messages are key to holiday email marketing success - Segmented messages are key to holiday email marketing success. Email marketing experts say they noticed a trend during the 2015 holiday shopping season: Retailers are getting better at addressing the interests of individual shoppers. “We saw more emails being sent to tighter segments, which is always a smart thing to do,” says Ross Kramer, CEO of email marketing firm Listrak. This case study shows how you can increase your sales using segmented messages in your email marketing campaign during the holidays. Are You Investing Enough Effort Into Email Marketing? - Like many other people, you probably send a few emails a year and call it good. Or, maybe you don’t send any at all. Perhaps you think email marketing isn’t viable anymore. Or, maybe you are just too busy to create and send them on a regular basis. How I Acquired 590+ Active Email Subscribers from a Single Post in 30 Days? 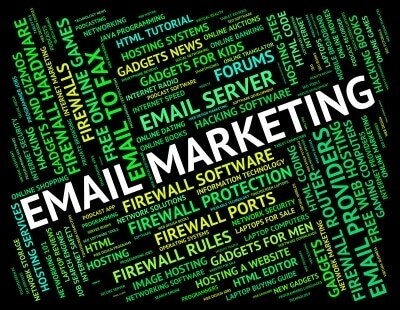 - All email marketing literature focuses on the necessity to build a list of active email subscribers. 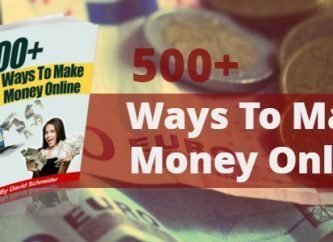 An active list of subscribers is a preferred, long-term and a sustainable method to earn money online. You can sell affiliate offers, sell in-house products like my eBook, sell solo ads and keep the audience engaged with your business through regular newsletters. 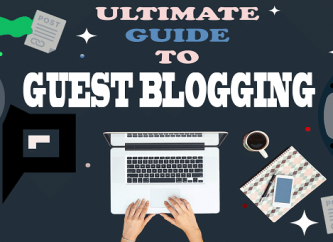 Despite the known benefits of email marketing, bloggers and website owners fail to create an impressive email list. Why Email Marketing is King - Compared to other media, email messages are dirt cheap to send. With TV, you are spending on ad agencies, creative studios, and cable channels. With print ads, you are helping to keep newspapers and magazines alive. Direct mail costs more than $600 per thousand pieces. With email, there are almost no costs at all. But its low cost only makes the argument stronger that email marketing is the most cost-effective advertising method available today. 89% of Businesses Make the Same Email Marketing Mistake - Out of 100 marketers, 89 are making the same mistake. Are you making the same mistake? This mistake is giving email marketing a bad name and by not making this mistake you can increase email marketing revenue and deliver better value for your email subscribers. And the best news is that you can change this quite easily. So what is this mistake we are all making? Using Targeted Email Marketing to Improve Results - Matching the email marketing message to customer type and expectations improves response and engagement. Testing targeted email marketing to see how it affects results is a part of every successful marketing strategy. 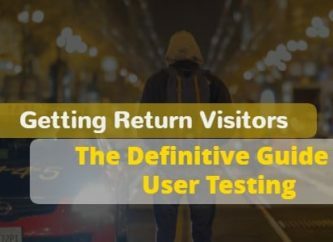 Email campaigns are one of the easiest places to test. Here’s a look at using targeted email marketing to improve results. 7 Reasons Why Email Marketing is Smart For Small Businesses - If you’re a small business owner, there’s always too many things to do. Things you should be doing, or things you could be doing. Here's How To Get Better Email Marketing Results - Email marketing serves one purpose: customer retention – essentially, existing customers subscribe to receive email updates and subsequently should visit more often. Prior to the mobile explosion, email served as a solid way to reach customers. Now, with mobile overtaking email as customers' preferred method of digital contact, personalization, relevance, and timeliness have become mandatory tactics for effective communication. As a result, email marketing on its own cannot change customer behavior. Fortunately, by complementing email with other data sources, email marketing has the potential to be even more effective than it was before. You Think Email Marketing Is On Its Way Out? Think Again. - We’ve become used to communicating with people via text messages and social media, and in many instances, this is more common than face-to-face meetings. For these reasons, companies are keeping in contact with their customers by one of the most effective methods of communication: email. The Ultimate 6 Step Guide to Mastering Email Marketing in 2014 - Email marketing, proves time and time again to be one of the most effective avenues in digital marketing. Sure, there are countless arguments on whether or not email marketing is dying out, but rather than trying to convince you that email marketing is still ‘hip,’ I think that results and statistics speak for themselves, so here they are. Revive Your Dated Email Marketing Campaign in 3 Simple Steps - Email marketing has come a long way since the days of blasting out generic, misleading emails to a mass audience that ended up slowly dying in the spam folder. Although more brands are deploying savvy email marketing campaigns that drive sales and engagement, HubSpot’s Science of Email 2014 suggests that consumers aren’t totally sold on emails. When asked, “How often do you buy products or services from email messages you’ve received?” 35 percent of respondents answered, “Never,” compared to only 25 percent in 2011. See these 3 simple steps on how to revive your dated email marketing campaign. Personalization: Top Factor for Effective Email Marketing Campaigns - Email marketing is still going strong! Mailjet, an email service provider, recently launched a survey to see if there are any international differences when it comes to email marketing. The survey included marketers in the U.S., Germany, and France. In this Daily Brown Bag, you’ll learn about email personalization, how email will continue to be a vital component of marketing, and the two top factors that attributed to higher open rates. You’ll also learn about social media and tips on how to improve your email marketing. 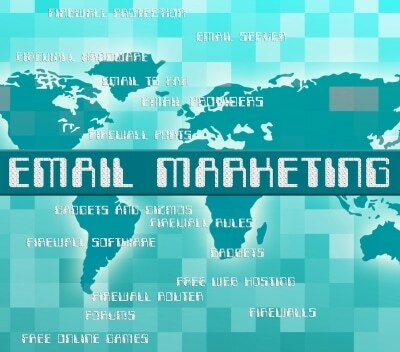 6 Reasons Why Email Marketing Is Important For Your Internet Marketing - More than 34% of the people worldwide use email. That’s about 2.5 billion people. It’s predicted to increase to 2.8 billion email users in the next 2 years. Yup, email’s popular. The Radicati Group, who came up with that info, also reckon that the world sends about 196 billion emails daily. 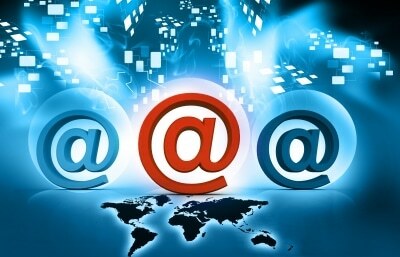 Out of this 196 billion emails the majority, 109 billion, is business email. 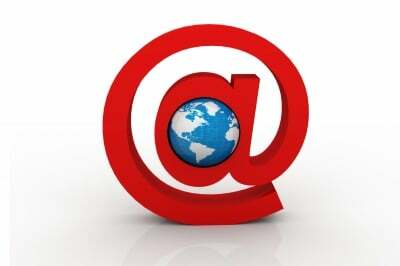 Find out these 6 reasons why email marketing is important for your internet marketing. Email Marketing Six Times More Effective Than Social Media - Direct email marketing remains the most effective strategy for driving online shopping, reveals a new study. Read this case study based on a result from ""Give as you Live"" and find out more. Email beats Facebook and Twitter for marketing purposes - A survey from McKinsey & Company defies popular wisdom heralding the newest forms of communication as the best: for marketers, the survey says email is a more effective way to gain customers than social media like Facebook and Twitter. Here Are 5 Reasons Why Email Marketing Still Matters - These five research-backed stats will convince you to start sending email content. Why marketers should keep sending you e-mails - E-mail remains a significantly more effective way to acquire customers than social media—nearly 40 times that of Facebook and Twitter combined (exhibit). That’s because 91 percent of all US consumers still use e-mail daily,1 and the rate at which e-mails prompt purchases is not only estimated to be at least three times that of social media, but the average order value is also 17 percent higher. Why Is Email Marketing So Effective? - If you’re like most, you probably think of email marketing as an out-of-date, overly spammed strategy close to extinction. Newer, sexier technologies like social media and mobile marketing are taking their place, enticing you to pour all your budget into these emerging technologies. Yet despite its age and lack of shine, email marketing is still considered the strongest ROI channel by marketers. Here is why. 7 Effective Email Marketing Tactics To Boost eCommerce Sales - Several eCommerce businesses have used email marketing to inform people about new arrivals, deals, and latest news about limited time offers. The strategy has been honed over the years to ensure customers take action. Why email marketing over other marketing channels, you ask? Because of these industry reports and statistics. Why Email Marketing is Still Effective for Brands - Based on Compete survey results, 46.2% of people receive more than 10 emails from retailers in a typical week and 19.9% of them receive more than 30 emails. He Tang takes a look at The State of Email and explains why email marketing is not only alive and well, but very effective if used correctly. Why Email Marketing Powers Your Business - Email simply works, but it’s important to understand why in order to wield it well. Let’s take a step back to dig into why email marketing is such an essential tool for growing your business and what that means for how to approach it. 10 Secrets to Powerful and Effective Email Marketing - Email marketing is crucial for your success as a business online, since it is often the advertising channel most likely to convert visitors into customers. Setting up a profitable email marketing strategy is important for the long-term success of your organization. Email Marketing Best Practices to Push ROI Through the Roof - If you’re looking to acquire new customers or sell more effectively to your existing customers, you can’t go wrong with email marketing. After all, email is almost 40 times more effective in helping your business acquire new customers than Facebook or Twitter. Ecommerce Email Marketing: 10 Tips to Boost Product Sales - Email marketing accounts for over 7% of all ecommerce transactions, making it the second most effective e-commerce marketing channel behind search (15.8%) according to a 2013 study by Custora. In this post, you will find 10 strategies that you can implement in your email marketing to significantly boost your ecommerce site’s revenue. 3 Reasons Why Email Is The King of ROI - In this article you will learn exactly why email marketing is the most consistent and high converting source of sales for most companies that are doing it right. What We Learned Helping You Collect Over 100,000 emails - One of the most popular tools at AppSumo is List Builder, a free and super easy way to collect the email addresses of anyone visiting your site. People with List Builder have collected over 110,313 emails in 30 days. AppSumo looked for trends in the different email pop-ups and wanted to share 7 tips to get the most emails with List Builder. Here they are.